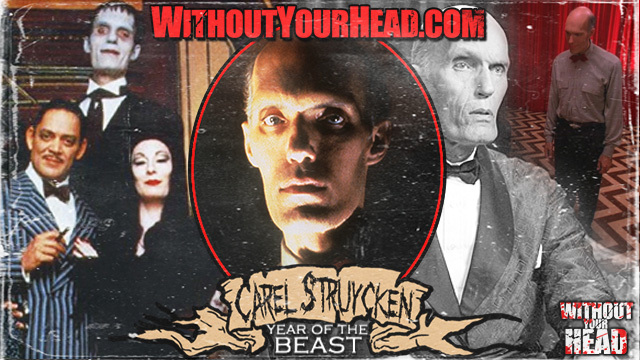 Carel Struycken of "Twin Peaks" & "The Addams Family" and Miles Doleac writer, director and star of "Demons" joined us! AMITYVILLE: THE AWAKENING, the terrifying revival of the popular franchise, will debut exclusively for free for a limited time on Google Play, starting October 12, 2017, and will also be released by Dimension Films in select theaters on October 28, 2017.
he creators of The Barn, Bonejangles, The Dooms Chapel Horror and the producer of the Volumes of Blood franchise present the latest in pure terror, 10/31. 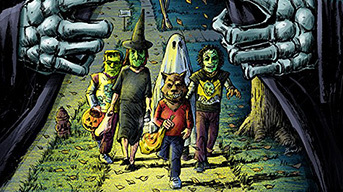 Grammy award winning musician Rocky Gray brings you a brand new horror anthology full of masked killers, lurking beasts and madness all candy coated in a crimson macabre. Halloween has never been so deadly.